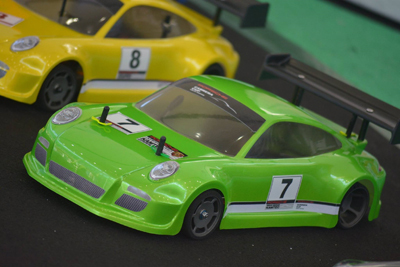 On Sunday 15th of May 2016 the world of RC will show the masters GT racing just how exciting a full throttle GT12 competition can be. Porsche Motorsport stand dominant as the top of the all-time LeMans endurance race winners with 17 race wins to their name. The BRCA are hosting a GT12 competition to show the performance car marque what happens when you reduce the cars to a 12th of the size. The event is open to racers of all abilities with chances for all drivers to win some of the top prizes provided by the sponsors. Some of the best GT12 racers in the country have already signed up to fight over this exclusive title, it’s going to be a very special event. 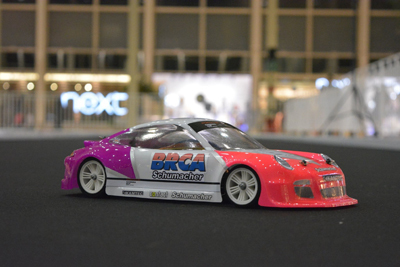 The race will follow the trusted BRCA rule set with extra additions for the physical look of cars. All the field will run the very impressive new Porsche body shell from Kamtec. They will also need to ensure that the finer details of the body decals are kept to a good standard so all the cars look as realistic as possible. In addition to this page we also have an official entry list page for anyone wanting to publish their team and sponsors. We also have a preview gallery for drivers wanting to show off detailed views of their car liveries. On Saturday night there will be a structured practice session on the track. This is expected to be like a normal club meeting of 4 rounds of FTQ. Everything will be to play for at with this action packed format. The day will also include some other competitions for driver and members of the public. So whether you’re and beginner to the hobby, season champion or even just a spectator, this is definitely the RC event you don’t want to miss!